Gitte Jungersen (b.1967) was educated at Danmarks Designskole from 1988 until 1993. She was awarded the Danish National Art Foundation’s 3-year working grant, a prestigious honor, in the year 2000. Jungersen is an active participant on the scene of younger experimental ceramists. She has been making an impact with solo shows and group shows, in Denmark and abroad. 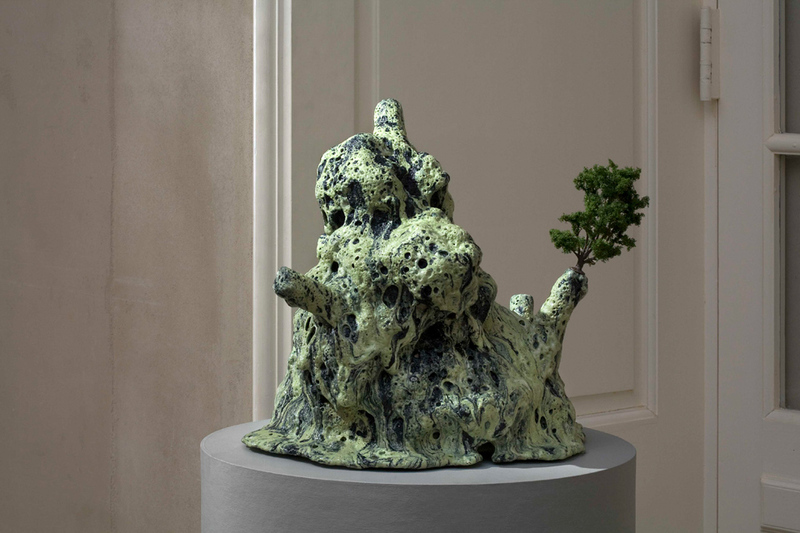 In synch with other younger Danish and international ceramists and contemporary artists, Gitte Jungersen is working with various ways of telling tales in worlds, or sceneries, where the elements are warped, on edge and somehow different. Her latest works are hallucinogenic landscape-like “sceneries”, in which animals made of plastic, fishhooks and objet trouvé porcelain figures appear. The figures have been taken from the children’s bedrooms or “found” in second-hand shops and they have been most deliberately dismantled from their original purposes and introduced into a new scenographic context. Landscape and elements collide, with the result that the frames of logic explode and the portals to the space of the dream and imaginative conceptual representation open up. With their bright colors and their bubbling and boiled texturality, the ceramic sculptures are extremely appealing at first glance. On closer inspection, however, what are being unfurled here are disquieting tales that circle around ambivalent psychic states of limbo situated between dream and reality, desire and repugnance, child-like innocence and adult sexuality … and also between primeval history and cyberspace. Often, the ceramic sceneries are all at once humorous and threatening in their exposition of general existential questions and problems. 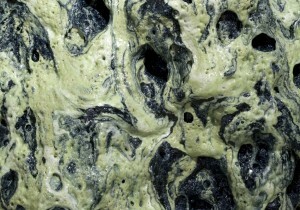 The super-textural landscapes look either like moon landscapes, volcanic formations or mushroom-like growth layers in hyper-real artificial colors. Jungersen has developed a special technique for creating the boiled and bubbled surfaces of glaze. Specifically, the bubbled surfaces come into being because the glaze is actually boiling when it is heated to a melting temperature of 1260 degrees Celsius. After attaining this temperature, it is suddenly cooled with the consequence that the bubbles are frozen solid. This spawns a very dramatic textural effect that can give rise to a sensation of playing witness to the forms’ chaotic origins and metamorphic processes – the border conditions between solid and fluid and between genesis and decomposition. Clay has traditionally been regarded as a healing and amalgamating proto-material that can establish fertile soil for stabilizing forms in the midst of an alienating modernity. Ceramics has been linked to aesthetics, simplicity and authenticity – the unique work of art characterized by craftsmanship, which stood in diametrical opposition to industrialization’s anonymous products and Taylorized work forms. During the era of modernism, studio-made ceramics were largely concentrated around the formal: technical perfection; sublime mastery of the material and a formally aesthetic expression. Gitte Jungersen is a player on the younger ceramists’ scene who has consciously chosen to challenge ceramics’ traditions, both before and after modernism, with new techniques and artistic strategies. Her pieces are polysemantic conceptual works – which carry references to primeval history, fairytales, fables, pop, surrealism and science fiction. High culture and popular culture enter in on an equal footing in Jungersen’s works. In doing so, her pieces lay down a gauntlet before the trappings of “good taste”. In a singularly wonderful way, Jungersen is linking up galaxies, dream scenes, everyday life and metamorphoses in her ceramic landscape sceneries. With a special signature admixture of childlike innocence, grotesque dreams, crack-brained weirdness and cosmic hallucinations, she is transforming the ceramic object into the stuff that dreams are made of. Text written by Rikke Rosenberg, curator at Danish Museum of Art and Design. Printed in a catalogue in connection with the exhibition “Place for a Secret”, 2008, at the Danish Museum of Art and Design.